Singapore Airlines plane Changi Airport. 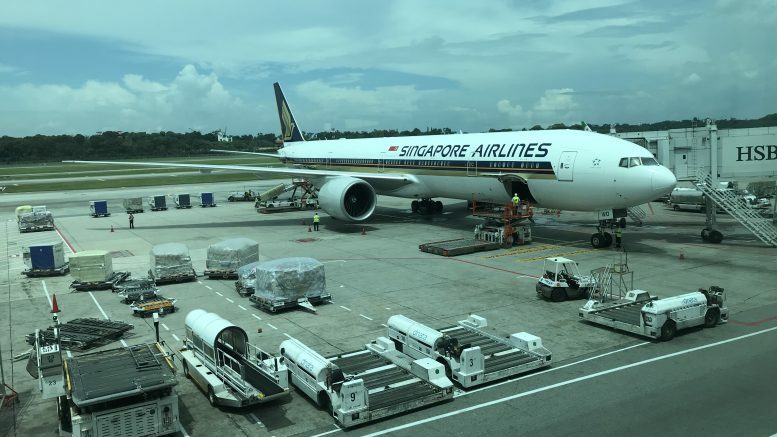 Singapore Airlines said on Monday that its group passenger carriage, as measured in revenue passenger-kilometers, increased 6.2 percent on-year in March, lower than the 8.1 percent growth in capacity. The passenger load factor, or PLF, for March fell 1.4 percentage points to 81.5 percent, the carrier said in a filing to SGX. The Singapore Airlines brand PLF fell 1.2 percentage points to 81.0 percent in March, the filing said. Passenger carriage for the brand rose 6.6 percent on-year in the month, offset by a capacity increase of 8.3 percent, the carrier said. The Scoot brand posted passenger carriage growth of 6.3 percent for March, while capacity increased 10.9 percent, causing a 3.7 percentage point decline in PLF to 85.5 percent. Scoot’s cargo load factor (CLF) fell 2.2 percentage points in March. Cargo traffic, as measured in freight tonne kilometers, declined 0.4 percent, while capacity grew 3.2 percent, it said.